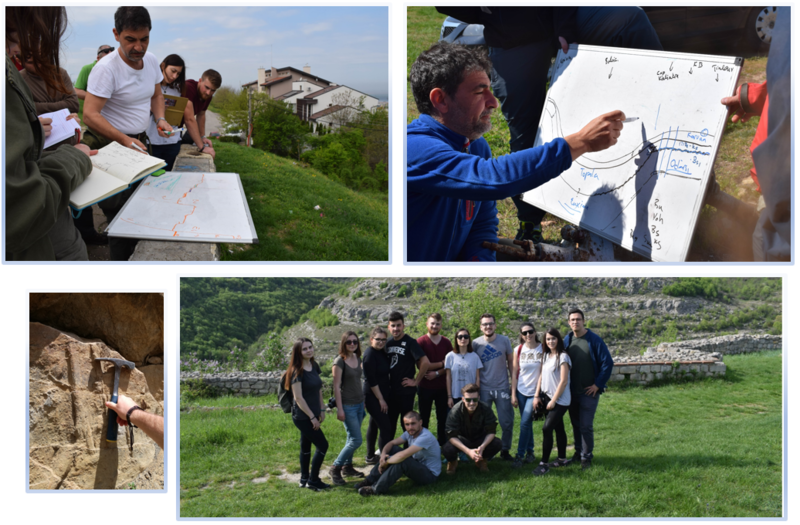 Between the 19th and 22nd April 2018, SPE Student Chapter University of Bucharest, SPE Student Chapter Petroleum-Gas University of Ploiesti and AAPG Student Chapter of University of Bucharest had the privilege to participate in the “Spring Field Trip” held in Bulgaria. The study of Cretaceous limestone formations in the Moesian Platform. Sandstone concretions associated to gas emanations outcropping in Varna of Eocene age. Depositional environment and facies changes from shallow to deep water. Regional geology and types of structural and lithological traps for hydrocarbons resources. The main purpose of the field trip was to understand the evolution of the Moesian Platform and the Ceahlau-Severin ocean from Cretaceous to Sarmatian. The better understanding of this evolution means that the students get a full view of how the hydrocarbons reservoirs located on this platform in Romania were formed and how the resources were generated. The rocks that represents some of the biggest oil reservoirs in Romania, like the one from Videle, outcrops very well in Bulgaria. This is one of the rarest cases when geologists and geophysicist can observe and inspect the reservoir rock, that is at a long distance from the outcrop and buried at a depth of several km in Romania. The biggest advantage for the students was the understanding of the regional geology, the structural and lithological traps for hydrocarbons resources. We would like to thank our sponsors and partners: OMV-PETROM, ROMGAZ, American Association of Petroleum Geologists (AAPG), Danubian Energy Consulting, University of Bucharest, Petroleum-Gas University of Ploiesti for making this field trip possible.